Brian Eno’s influence on music, particularly music termed “ambient,” is such that it might itself blend into the background. But make no mistake, work like Music for Films and Music for Airports has left an indelible impression on the sound of a lot of music, and moreover in how we think about sound and structure. But perhaps it’s even more appropriate to look at Eno’s work that is post-album and generative, an idiom he has long championed. Once you hear LUX, each repeat listen will be exactly the same, at least as far as the piece is concerned. Not so with these generative applications. Eno and Peter Chilvers, a musician who has turned his talents to code, have produced software that can be different with each play. They can be turned on as easily as a light switch, but each time are transformed in repeat “performances,” and adjusted in combinations of dynamic building blocks you shift around on the screen. They are, in some sense, an extension of the imaginations and musical logic of Chilvers and Eno. Scape is the most sophisticated apps of these yet. Dubbed “music that thinks for itself,” it’s a broad canvas for generative elements. Drag colored symbols to the central playing field, and these objects unfold into musical structures, combining into new sound environments. The interface involves what they call “elements.” These combine onto a two-dimensional plane; they’re flat, colored glyphs that hide encapsulated algorithmic behaviors. 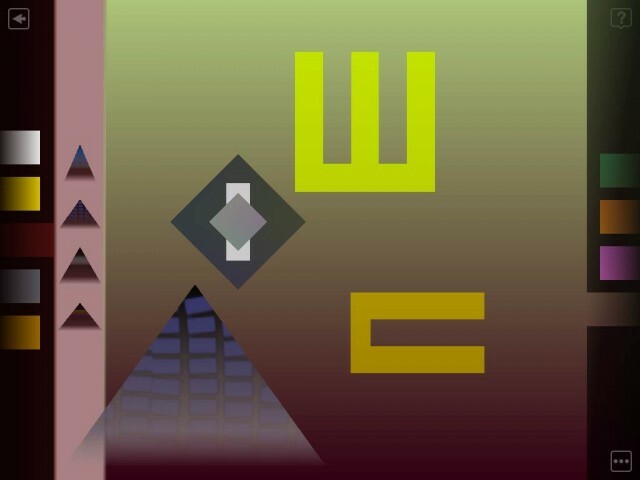 It might simply look like a shaded triangle or a stylized letter “E,” but layered atop the central interface, the mysterious objects eminate musical pattern. They’re non-deterministic, producing different music each time, but obey rules that prescribe musical outputs. (A demo intro, and the video above, explain the concept nicely.) Some even shift depending on the time of day. 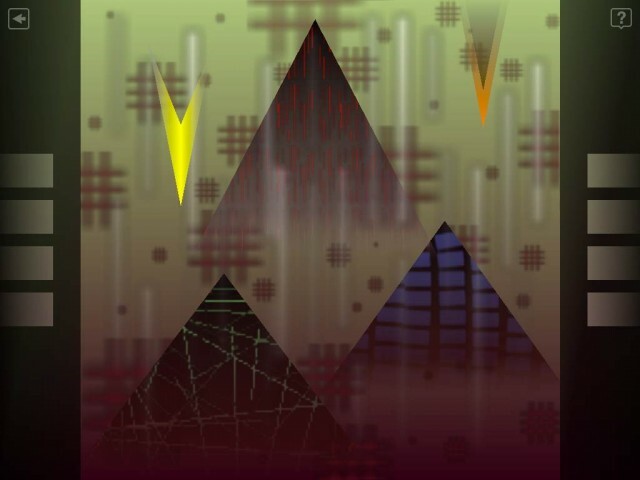 Scape uses a notion of foreground and background, with background textures filling the scene and producing ambient washes, and foreground shapes making the more soloistic musical gestures atop that foundation. The UI is nothing if not abstract, with colored controls on the right switching between so-called “tones” for larger, scene-wise changes, and on the left draggable tools that make up the skeleton of the musical framework. You can also save and string scenes together into playlists, making an ambient world for yourself – you could switch on your iPad and listen to near-endless, never-repeating music. A long-term test is in order here; supposedly, with time, new elements appear. That could mean greater longevity, and a gentler learning curve. 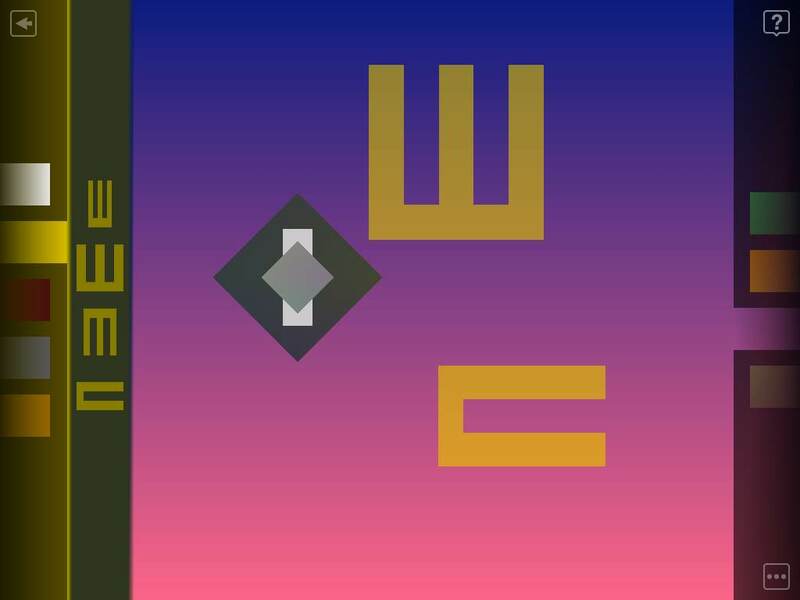 The results are musically beautiful; the software has unquestionably translated the aesthetics of Eno’s ambient music into something that, rather than playing end-to-end in linear form, is freed of those restraints and lives in a purely dynamic form. The visuals are perhaps more misdirection than anything else; the elements can seem a bit raw rather than producing any particular immersive visual sense. But the musical landscape is beautiful. While the app doesn’t give you much in the way of compositional controls – or, at least, the results tend to the same ground – the internal compositional idea itself is mesmerizing. It clearly represents the vision of these two men; you simply get a chance to experience that vision in whatever fragment of time, big or small, you choose, and always with new details to hear. Email-only sharing means you send ideas to people one at a time, who then make modifications. Brian Eno, by Hugo Glendinning. Photo courtesy Warp Records. Curiously, that article raises the question of skill level and the apps. Yes, of course, I would concede that a small child (or a cat) can play with this app. But the musical structures are all Eno and Chilvers. Unless the cats begin making their own apps (that’s a Music Hack Day I’d like to see), I get more of the sense of delightfully navigating these musical edifices as a kind of game. And it is possible to listen as an album, too. Scape includes an “album” mode with a set of scenes tastefully assemble into something more like a conventional record. If you want to simply tune in to the structures and hear them as they were created by the artists, you can. Speaking of things cats perhaps can’t make, Eno is returning in solo form. 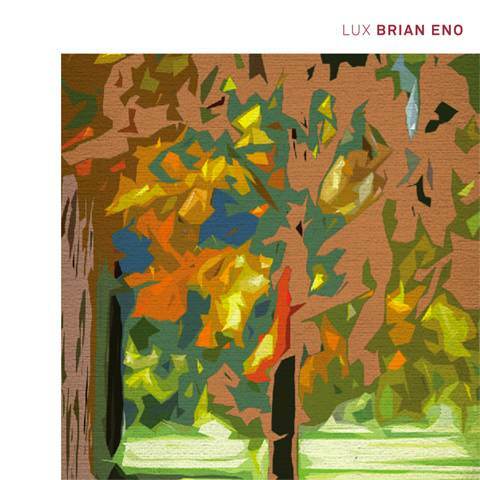 LUX is, according to the composer, a continuation of a thread started by his ‘Music for Thinking’ project, including Discreet Music (1975) and Neroli (1993). 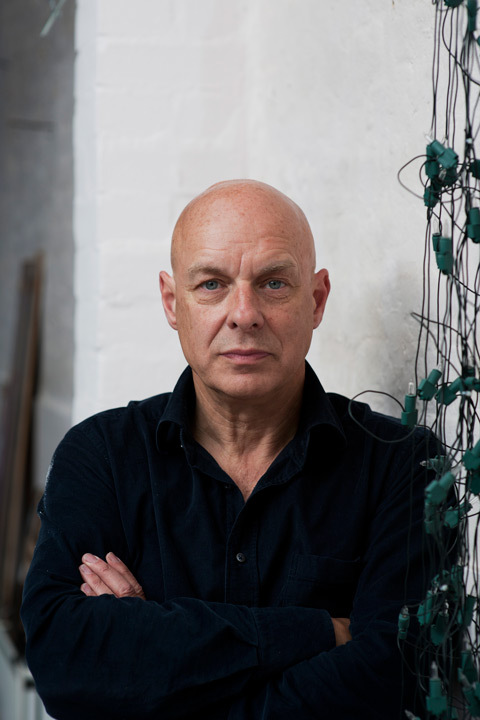 That attention to the mood-altering quality of music could have nice fruits, in the first solo album from Eno in eight years (Another Day On Earth). Since then, we’ve seen more collaborative outings, joining Jon Hopkins and Leo Abrahams (Small Craft on a Milk Sea) and Rick Holland (Drums Between The Bells) on Warp. We have to wait until 12-13 November for the CD/download and December for the vinyl LP. A preorder is available.